In 2015, the Wellington City Council upgraded the Kotuku Apartments in Kilbirnie, in a $7.4 million project led by Opus International. Maycroft Construction were the lead contractor for the project, with Scafit providing scaffolding over the 18 month construction period. Originally constructed in the late 1960’s, the updated apartments will result in warmer, dryer homes, with data cabling and wiring. A community room, communal BBQ area, and vegetable garden are being added and the complex is also being upgraded to become pedestrian friendly. Previously, the apartments were all studio units, housing over 3,500 residents. A number are being transformed into family units to provide more housing options for residents. 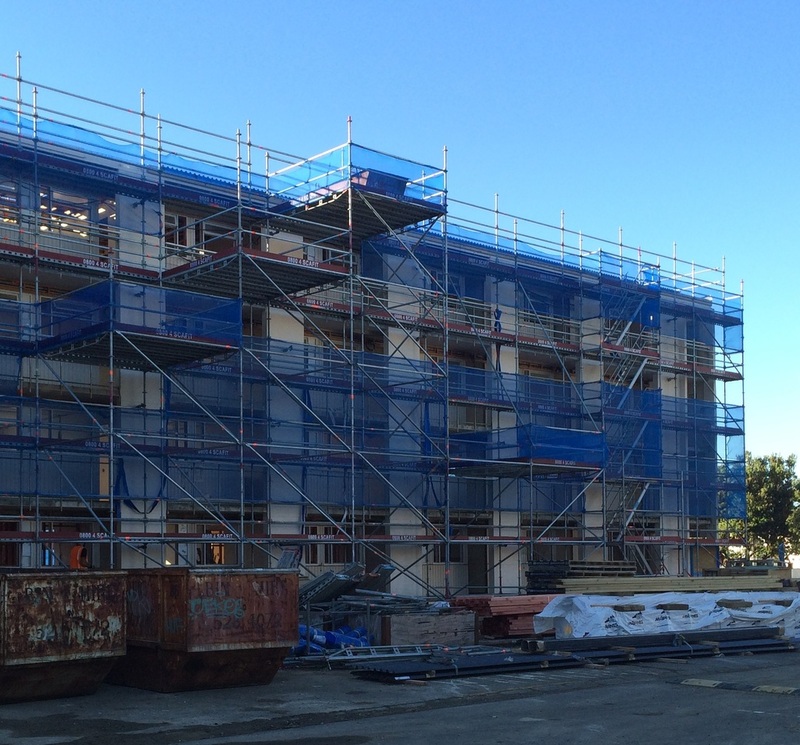 The multi-staged scaffold project includes all four blocks and almost 4,000 m2 of scaffolding, along with scaffold stairs and heavy duty loading bays. Thanks to Matt & Doug from Scafit Wellington for leading the construction of the scaffold structures.